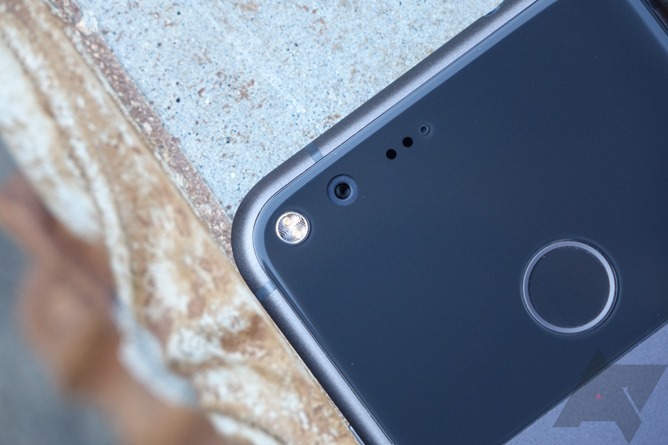 Google's Pixel and Pixel XL are great smartphones - there's no doubt. But what makes them so great, exactly? Well, here are five things that I think help make that case with conviction. This is my favorite smartphone camera, full stop. No other smartphone camera captures images as quickly and reliably as this one - because the Pixel's camera starts capturing images the moment you launch it, and continuously does so in order to all but eliminate any shutter lag. 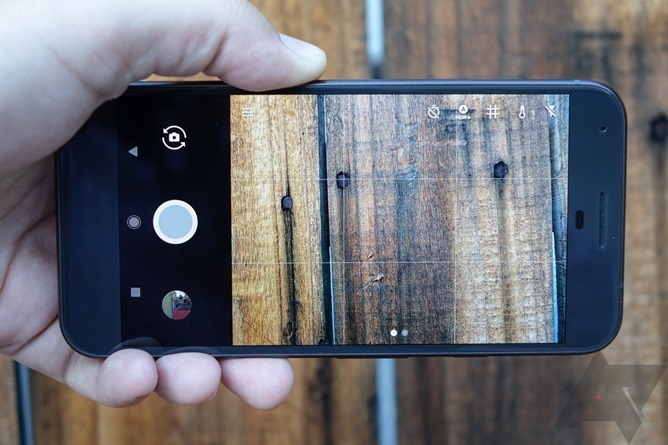 It really does make the camera's shutter button feel completely instant, no matter the light level or if the phone's been sitting idle in your pocket for an hour. A quick double-tap of the power button launches the camera at Galaxy S7 speeds, but it's when you hit the shutter button that the Pixel blows the competition away - there's just no contest here, and it's remarkably consistent in this regard. 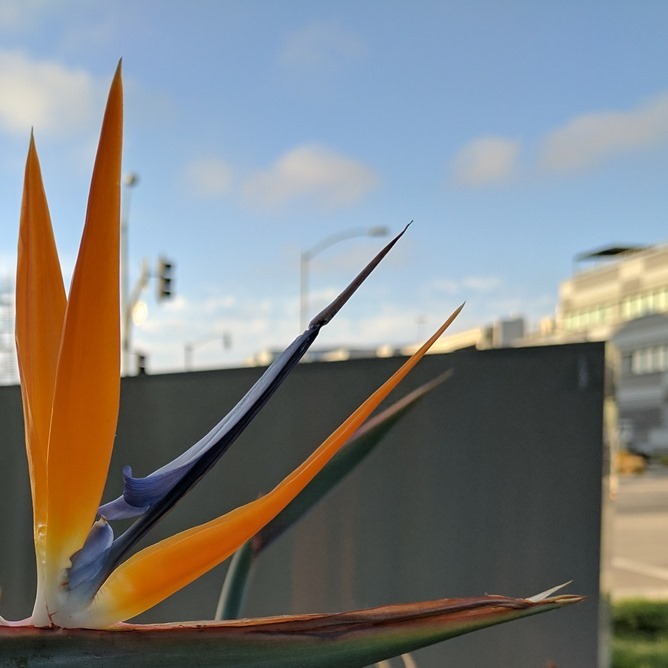 Smartburst adds to the Pixel's already stellar camera speed credentials: just hold down the shutter button and the camera will rapid-fire capture a ton of photos to make sure you get the best shot. Oh, and Smartburst even picks the best shot of the bunch for you - how cool is that? Google's enhanced HDR+ mode is even quicker now, too, and the results look better than ever (and don't easily lag the camera with every capture). Combine that with unlimited Google Photos cloud storage - at full resolution - and the Pixel is a mobile photography powerhouse. Google's Terminator-level-of-stillness electronic image stabilization also means your 4K videos will look uncannily smooth, even if the effect can border on... robotic at times. Check out this video MKBHD shot using only the Pixel - it's almost creepy just how smooth the video is. Quite simply, this is the best Android software experience. It's smooth, it's fast, there's no bloatware, and you get software updates directly from Google. You'll be the first to get them, and you'll get them a guaranteed two years (three years for security patches). 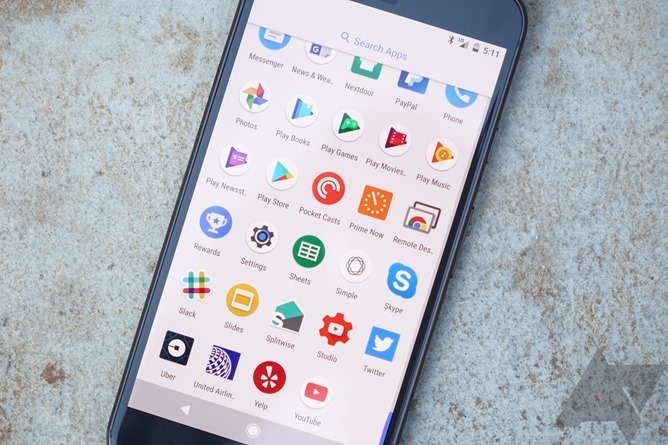 Google is moving to a quarterly update cycle for Android going forward, too, so your Pixel will get new features and enhancements four times a year instead of just two. That's exciting. You can also bet that the Pixels have the best implementations of Android's newest features and capabilities. Google wants the Pixels to showcase the very best of Google's products, services, and the operating system itself. Google Assistant is baked into the Pixels, for example, and it's always listening. Just say "OK Google" even when the phone is off, and Assistant springs to life. You can also launch it directly via a long-press of the home button, which is awesome because randomly saying "OK Google" all the time does make you seem like kind of a weirdo. When your phone gets updates, you'll barely notice them installing, because the Pixels support Android 7.0's new Seamless Updates, borrowed from Chrome OS. Updates install silently in the background, and once they're done, your phone just needs to reboot - no waiting for lengthy install dialogues, no "apps optimizing" step, just a quick restart and bam: you're on the latest version of Android. Even the Verizon versions of the Pixels will allegedly be updated at the same time as their unlocked brethren, so if you buy a Pixel, you get updates, end of story. I've only been using the Pixel XL, but in the time I've had it, the battery life has consistently impressed me. Sure, there are phones with bigger batteries and phones that last longer. Samsung's Exynos version of the Galaxy S7 edge has legendary battery life. But since the first Nexus, Google has seemingly never been able to build a phone that gets very good battery life. With the Pixel XL, that changes. I'm getting the same battery life I do on my US-spec Galaxy S7 edge (that is, the Snapdragon version, not the Exynos), a phone that has consistently been praised for its above-average endurance. Meanwhile, the Pixel doesn't use any sly tricks to wring out that juice more stingily - Doze mode really does seem to work, and I still get all my notifications in a timely manner. The Pixel XL is a phone I feel very safe using on a travel day. Sure: if I actively obliterate the battery with four or five hours of screen-on time browsing the web and social media over LTE, I'm going to need to reach for a charger. But those are the most extreme circumstances. Circumstances that would have me reaching for that charger hours earlier, or simply turning off my phone, if I were using a Nexus 6P or a Moto Z. The Pixel also supports 18 Watt wall charging under the USB Power Delivery spec, which is quite fast. 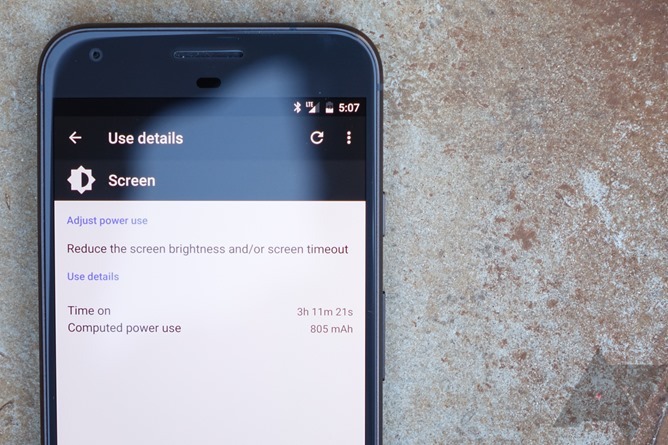 Google says you can get 7 hours of battery life in 15 minutes on the charger, though that's obviously a bit optimistic given the way many of us use our phones. Thinking about switching from Sprint to AT&T? 90% of the time, that entails selling or trading in your current phone, because Sprint is a CDMA carrier, while AT&T is GSM. The Pixel and Pixel XL work on all four major carriers in the US (Sprint, Verizon, AT&T, T-Mobile) and essentially every MVNO (StraightTalk, Cricket, etc). Verizon won't give you a hard time, either, as the Pixels were designed explicitly to provide full support on Verizon. T-Mobile and Verizon users get added benefits in the support of features like HD Voice, VoLTE (Voice over LTE), and visual voicemail. Because every Pixel is sold SIM-unlocked, including those bought on Verizon, you can take your Pixel to a new carrier at any time, no matter where you bought it. Not even the latest iPhone can claim this: your AT&T iPhone 7 wouldn't work well on Verizon, and it wouldn't work at all on Sprint. Phones from the likes of LG and Samsung don't offer four-carrier support, either - you have to buy the model specific to your carrier, or if you buy unlocked, live with compatibility for only some US providers. The Pixel just works, no matter who your carrier is. 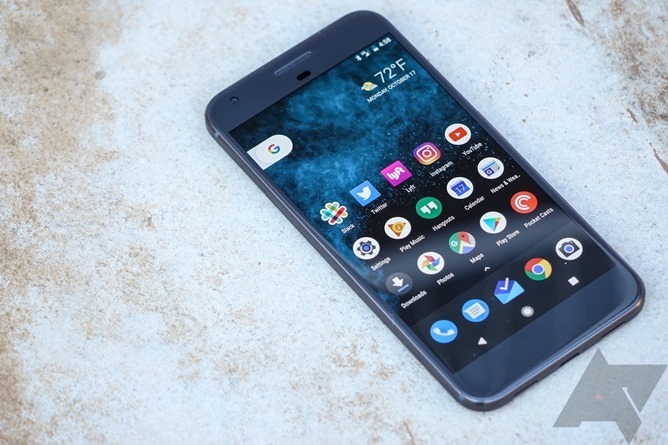 This also means the Pixel will probably travel well as a world phone, and if you have Project Fi - with which the Pixel is compatible - you'll be able to reap those benefits the moment you step off the plane. The Google Pixel is a fast phone. But it is not the fastest phone I've ever used in every single respect. It is, however, the most consistently fast phone I've ever used. With Android, we've become so accustomed to phones feeling fast the first few days you own them, only for some tasks to slow down considerably and hang once the phone is "settled in." Now, I haven't had the Pixel long enough to say what long-term slowdown looks like, but I can say the day-to-day consistency of the speed is totally commendable. It feels smooth, and switching between tasks is snappy. Going back to a Galaxy S7 edge to test things makes me feel a little crazy, by comparison. 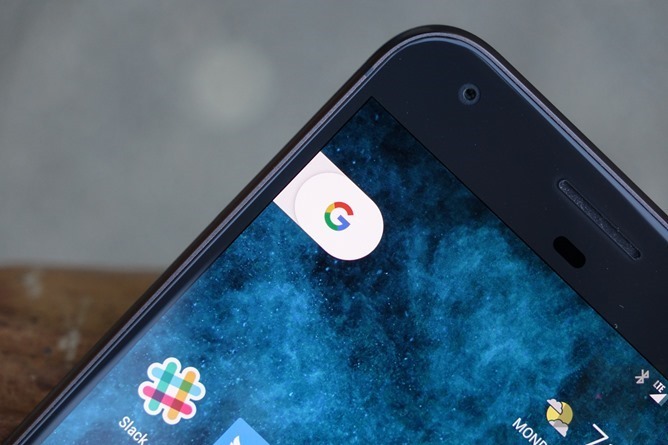 The Pixel has me expecting rapid and immediate response to my actions - the S7 seems to doddle around a lot of times, taking its time to open Google Maps or to expose the app switcher. The Pixel satisfies my "give it to me now" urge - sometimes I'll switch between apps just to see if I can make it struggle a bit, and I rarely experience anything beyond a brief stutter or page load animation. How'd Google manage this? Well, allegedly this required a lot of very involved, under-the-hood tweaking to Android to tune it to run as smoothly as possible on the Pixels specifically. But the new Snapdragon 821 processor and ultra-fast UFS 2.0 storage probably help considerably. The fact that the XL still gets such respectable battery life while feeling as quick as it does is, I think, a testament to how seriously Google has taken developing this phone. It's a rare combination indeed.